In the following text I give both the Romanian and the Hungarian versions of the geographical names. Why? The mountain is in Romania, but it was part of Hungary or the Hungarian Principality of Transylvania during 1000 years. And it is a favourite hiking destination for tourist who live in eastern Hungary and in Budapest. Most of the Western Transylvanian Mountains are covered by forests. Exceptions are some inhabited and cultivated areas – and some higher mountain ridges. One of these higher grassy mountain ridges in the western part of the mountain range is a long U-shaped ridge that close in the valley of Drăgan/Nagy-Sebes. As you can see from this list, Vf. Poienii/Mező-havas is not the highest of the summits. But it is one of the summits that can be reached relatively easily. Vf. Poienii/Mező-havas forms part of the watershed between Crișul Negru/Fekete-Körös and Crișul Repede/Sebes-Körös. Sebes-Körös is 209 km long river while Fekete-Körös is 168 km long. Though their sources are in Romania, their confluence is in Hungary. From Stâna de Vale/Biharfüred. This is the shortest route. Distance: 2 x 4 km. Elevation gain 525 m.
From Satul de vacanţă Boga/Bogatelep. Long approach from south. This route is recommended if somebody wants to hike from Satul de vacanţă Boga/Bogatelep to Stâna de Vale/Biharfüred. The effort to walk this long route is rewarded also by the rocky peak of Vf. Bohodei/Istenek havasa. Distance: 2 x 10 km. Net elevation gain 1105 m. Cumulated elevation gain: 1445 m.
All these 3 trailheads can be accessed with car, from western direction, on narrow but paved roads. These mountain roads are side-roads of the European transit road E79 that connects Oradea/Nagyvárad with Deva/Déva. Border of the Apuseni Mountains Natural Park is just over the summit of Vf. Poienii / Mező-havas. Bears and wolves live in this area – take care! 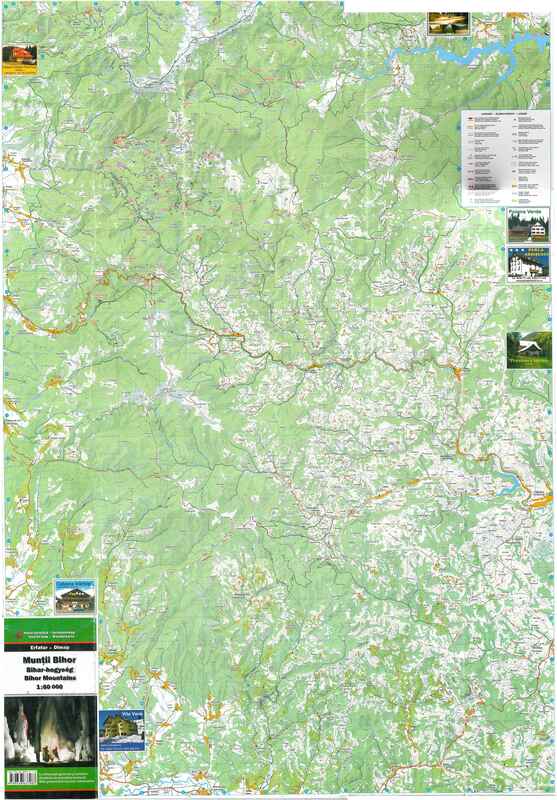 Map in scale 1:60000 about Bihor Mountains: please click here! 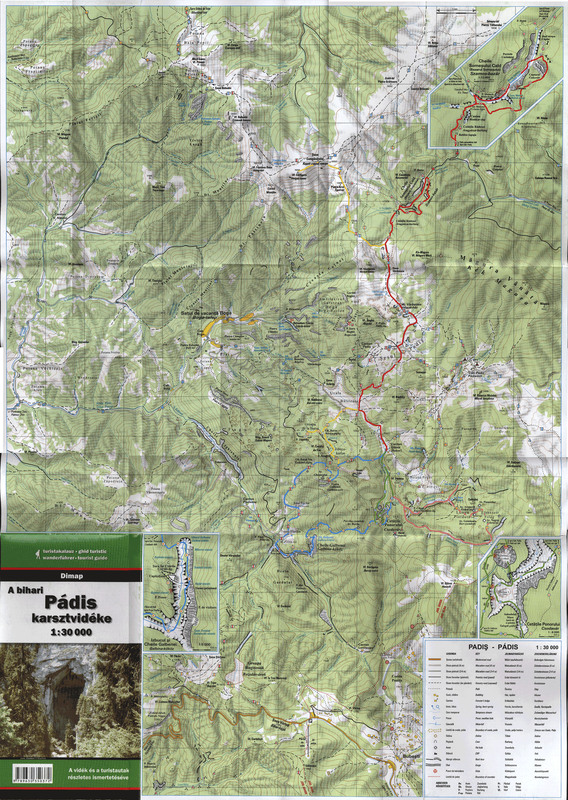 Map in scale 1:30000 about Padis: please click here!